At one time, Freshkills Park was the world's largest landfill, receiving the majority of NYC's waste. Now, it's being made into a park nearly three times the size of Central Park, and Mayor Bloomberg announced yesterday it will soon include the city's largest solar energy installation. The proposed solar facility will provide 10 megawatts of electricity, five times what the current largest solar installation produces and enough to energize 2,000 homes. 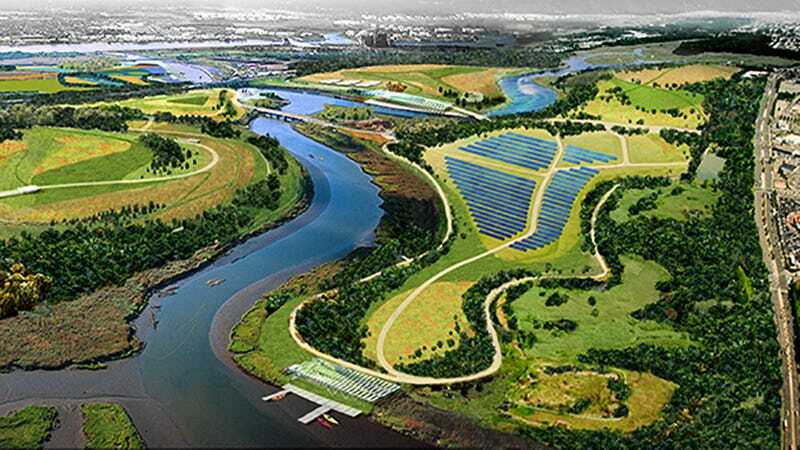 The 47-acre solar complex will increase NYC's renewable energy capacity by 50 percent. The 35,000 high-efficiency solar panels will be installed and operated by Sun Edison at no cost to the city.